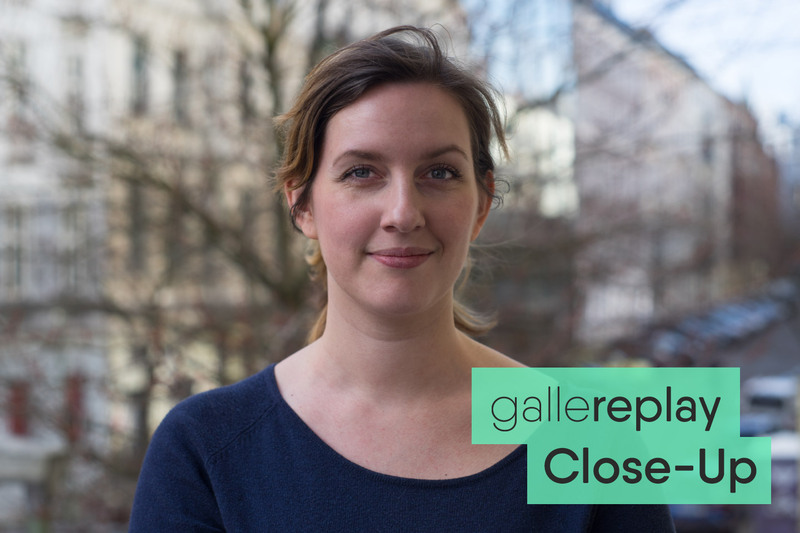 Meet Sophie, gallereplay’s new Customer Relations Manager! Read Sophie’s tips on how to get rescued next time you’re stuck in an office toilet, and find out why she dreams of having a species named after her. Sum yourself up and introduce yourself to the people! I’m Sophie, Account Manager at gallereplay and responsible for Customer Relations. I’m a huge Star Wars nerd (IV-VI), film and TV series junky in general, bookworm and self-proclaimed author of short stories with a weakness for Italian red wine. I also love all kinds of flowers and to pick up my mom’s dog with my husband to take him out for a walk in the forest. In my second week at gallereplay, there was a big event in our shared office. I had to use the toilet and walked by lots of people carrying around heavy equipment and preparing for the party. When I was done I tried to get out of the bathroom but I couldn’t because somebody had blocked the door with some heavy items. I put my hand through the gap in the door and started waving and yelling. It took some time until somebody saw me and took pity on me. I was rescued by a nice lady, who couldn’t stop laughing. I think she actually took a picture of me waving through the door. It’s a fantastic medium, highly emotional and such a great way to tell stories! They grab your attention and you just can’t stop staring. The combination of video and photography is beautiful and gets me every time I look at a new, well-made cinemagraph (note from Ed. : like the one above, which is Sophie’s favorite.). It’s a wonderful form of art and I hope that there will be more artists in the future exploring and experimenting with cinemagraphs, recognizing their full potential. My dream project would take me to a small village in Italy. There is nothing I don’t like about this country: great food, great wine, fantastic ice cream and lots of historical places to discover. Every time I go there on vacation I fall a bit more in love with Italy. I would live in a cosy little apartment near the beach and start writing a novel, something I have been dreaming of for a long time. After tons of “Doctor Who” episodes I would go with the ability to travel through time. No matter how much you read about history, actually experiencing it in person would be amazing! I would start with the dinosaurs and rewrite all the biology books. Then, after a long day at work, I’d take the night off and enjoy some good music at Woodstock or watch Freddy Mercury sing at a Queen concert in London. A rare breed of dandelions discovered by Sophie in her mum’s garden. This is an easy question for a biologist! (Note from ed. : Sophie worked in biology for many years before entering the startup world.) I would definitely bring a sketchbook and some pencils so I can explore the island and see if there are any species to discover that I can name after myself…let’s face it, every scientist dreams about that! Now all I need is my favorite Max Frisch book and a couple of wine bottles for happy hour. I would probably not survive for long but I would make it count! Since I am very much into reading blogs I would like to see more cinemagraphs used in articles. They would fit perfectly on beauty or fashion blogs and I cannot wait to see my first cinemagraph when I click on any of them. Read more about the gallereplay team on our blog, where you can also sign up to receive a free cinemagraph with our bi-monthly newsletter!